I just finally finished my Christmas shopping and it was high pressure this year-not only did I have to mail presents back to the US for our friends and family but we will be spending Christmas in Scotland leaving this weekend and I needed to have presents for the kiddos wrapped and ready for the journey north! As I usually do-I gifted food gifts to my friends here locally. 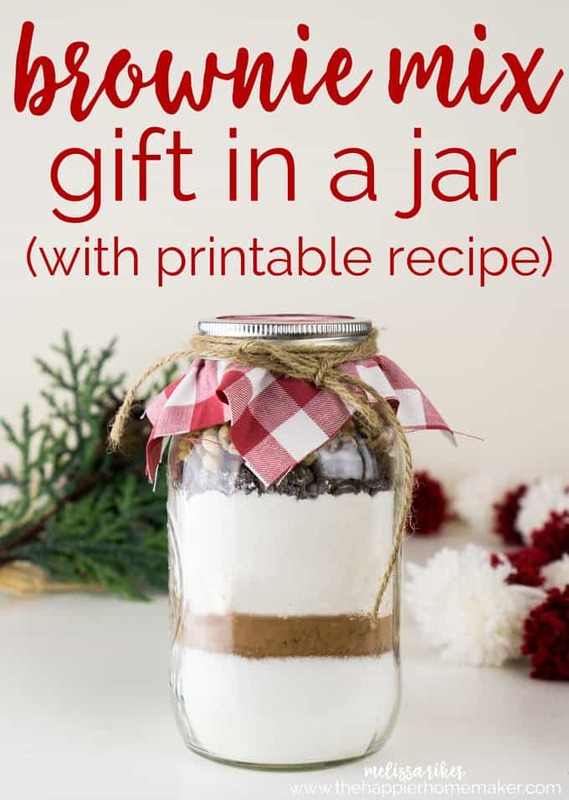 This brownie mix in a jar is such an easy, inexpensive and always well-received gift for the holidays. 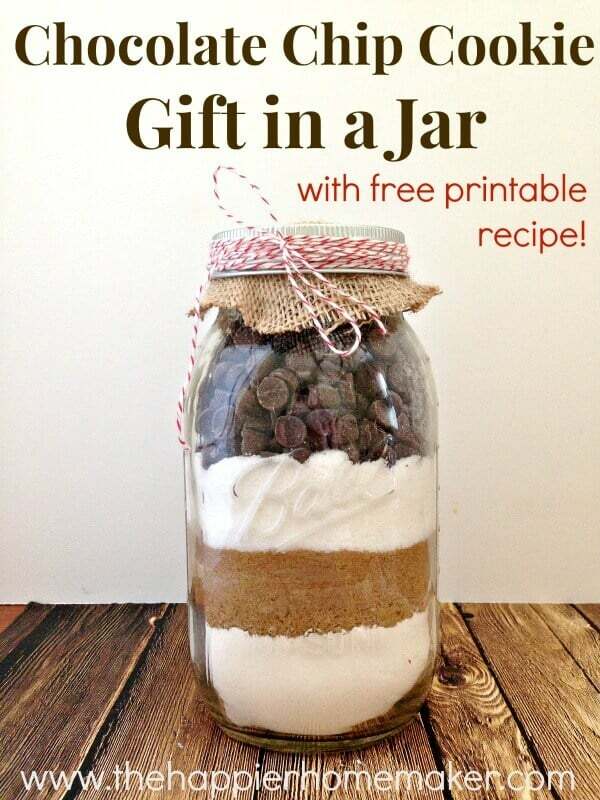 Like my Chocolate Chip Cookie Mix in a Jar, I made a free printable recipe for you to give along with it too! 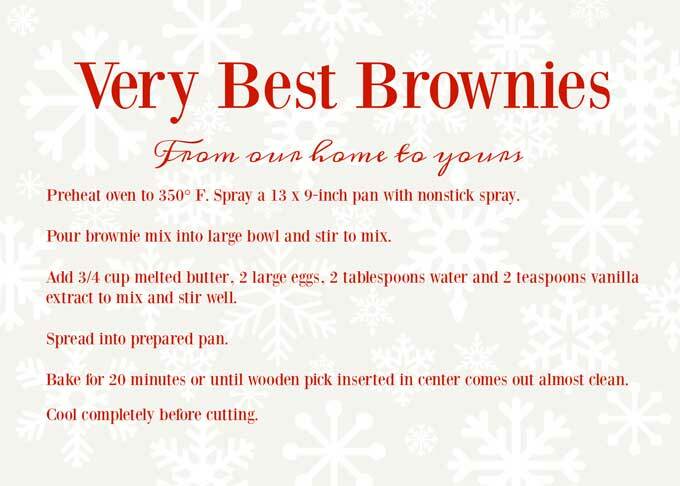 I hope you enjoy it and it helps make your holiday gifting a little less stressful! 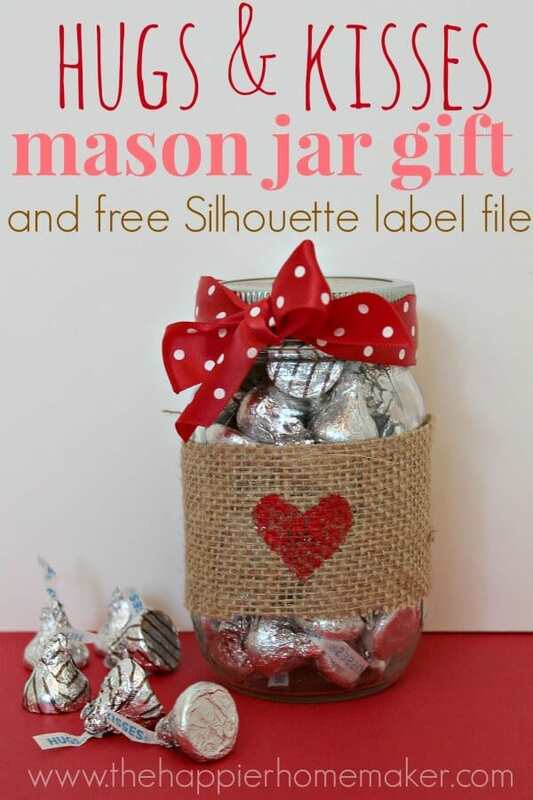 Click here or the picture above for the printable pdf file. 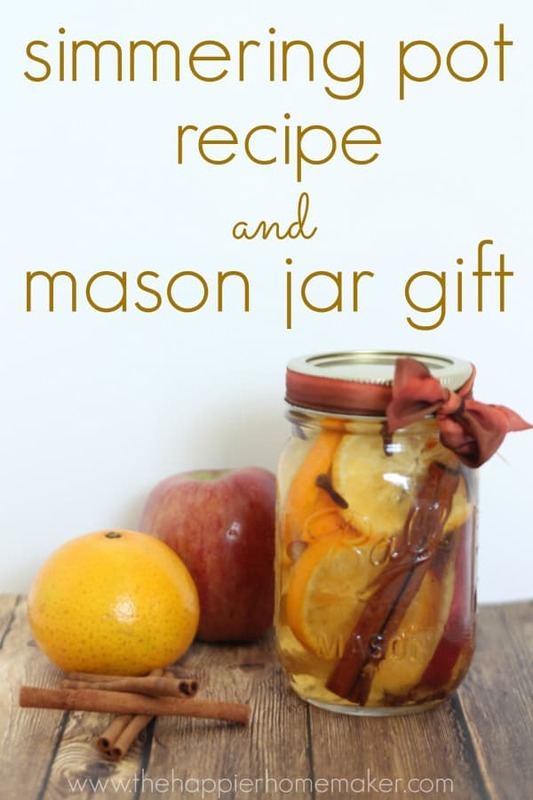 You might also like these gifts in a jar, click the picture to see the blog post. Not sure what you did to make it all fit, but I was barely able to get the sugar, cocoa, and flour in a quart sized jar. This was a very disappointing recipe. I planned to make this as gifts and was not able to!!! Very frustrating! Oh darn! This does NOT fit in a jar. Actually, I read online and multiple other sites said you have to tamp down the ingredients between layers. When I did that, all except a few chocolate chips fit inside. Thank you. Sorry for my earlier complaint!